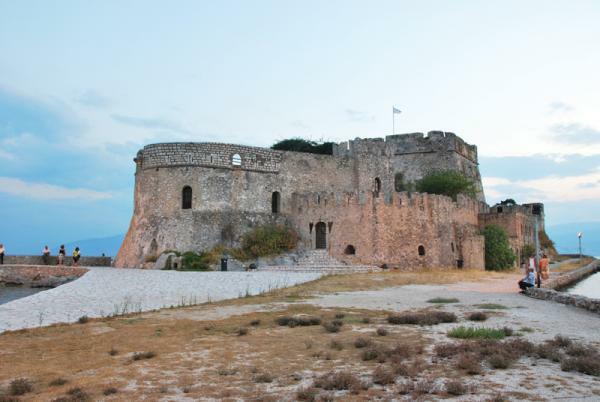 Another important fortress of Nafplio is Bourtzi, which was built in 1473 on the island of Agios Theodoros and is located in the harbor entrance. It was an integral part of other fortifications of the city for many centuries. It was called “Casteli” by the Franks and "Sea-tower" by the revolutionists of 1821. 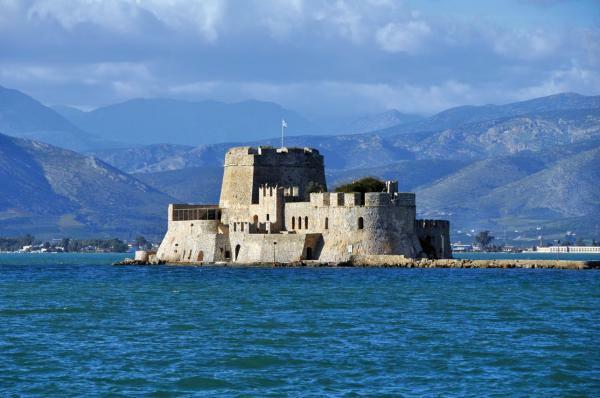 There was a narrow passage between the fortress and Akronafplia which closed with a chain to protect the port from enemy ships. After the liberation of the city by the Turks, Bourtzi served as a prison, where Kolokotronis was first imprisoned before being transferred to Palamidi. Later, it was used as a residence for the guards and executioners of the city. In later years it turned into a hotel until the 1960's. 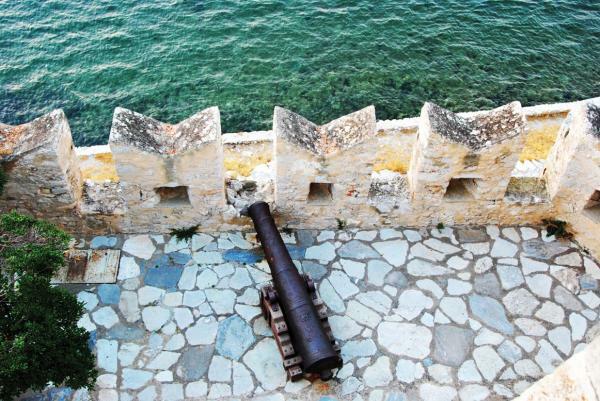 The presence of this small illuminant fortress in the Gulf of Argolic is a symbol of the city’s history. 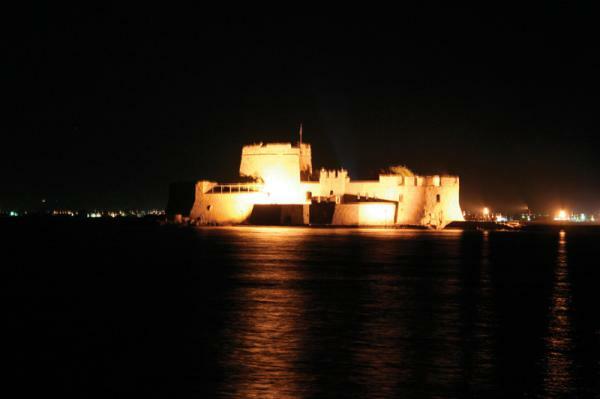 Its name comes from the Turkish word Burj, which means “fortress”. In 1865 King George I disbanded all armed forces from the fortress and today it is a tourist destination that can be easily reached by boat from the port. 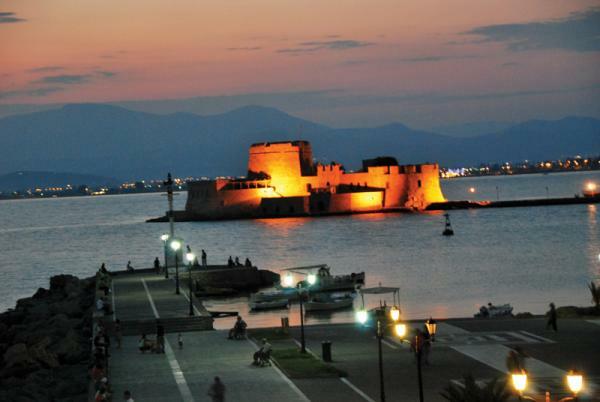 Musical and cultural events with Greek and foreign artists are organised every summer. During the winter months, Bourtzi remains closed and cannot be visited.